I'm the proud owner of a recently gifted 2000 Bravada. A friend of mine gave it to me because both of my vehicles were lost during Florence. I'm a father of 3 and a firefighter in eastern North Carolina. 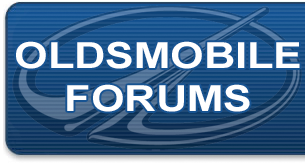 I'm pretty mechanically inclined but sometimes I need to do some research and that's why I joined this forum. Thanks ahead of time for any help and tips you guys give me! Welcome aboard! And thank you for signing up. Congratulations on your 2000 Bravada!